KUKA robots, which are extensively used worldwide for factory automation and other multiple industrial and manufacturing purposes, are also famous for their distinctive Orange colour. 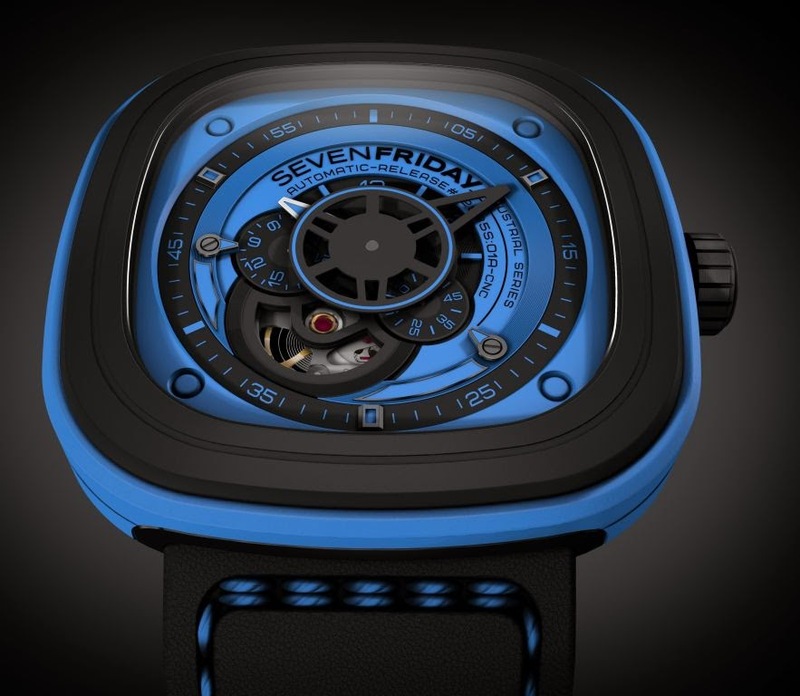 SEVENFRIDAY, a young and innovative mechanical watch brand based in Switzerland take inspiration from these German born robots to make fascinating timepieces. 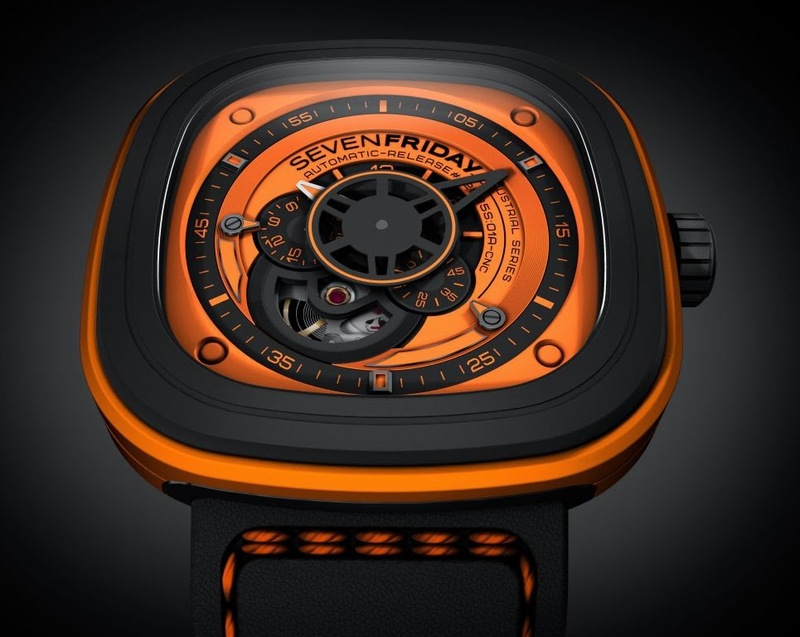 SEVENFRIDAY’s mechanical timepieces are inspired from industrialisation, engineering, machines and tools .This time, KUKA robotics, the world’s leading supplier of industrial high-tech robots, immediately appeared as the perfect reference. 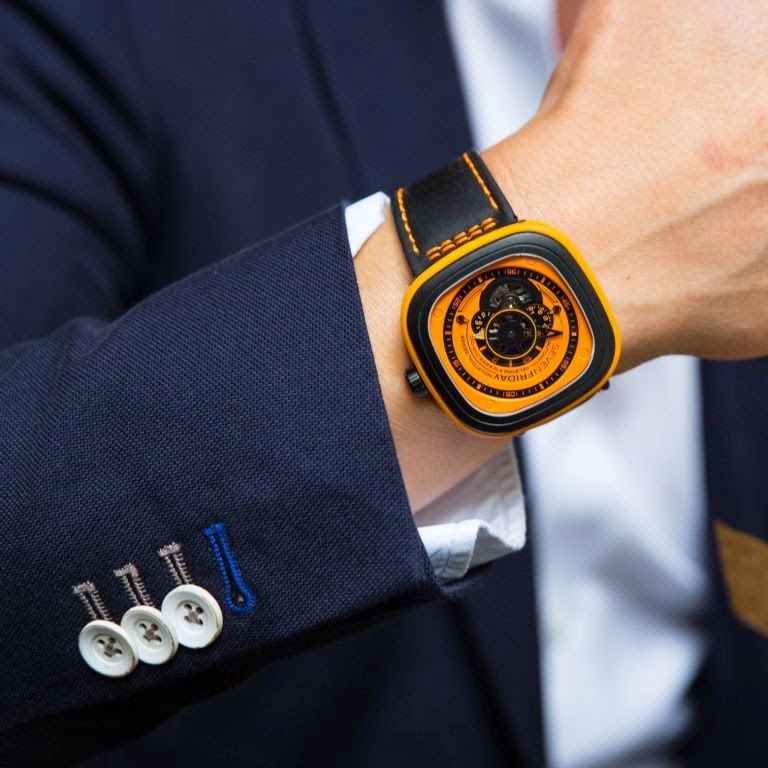 SEVENFRIDAY strongly identifies itself to the constant quest for innovation of the German firm. The specific and highly recognizable orange color of KUKA products gave the P1/3 its own. 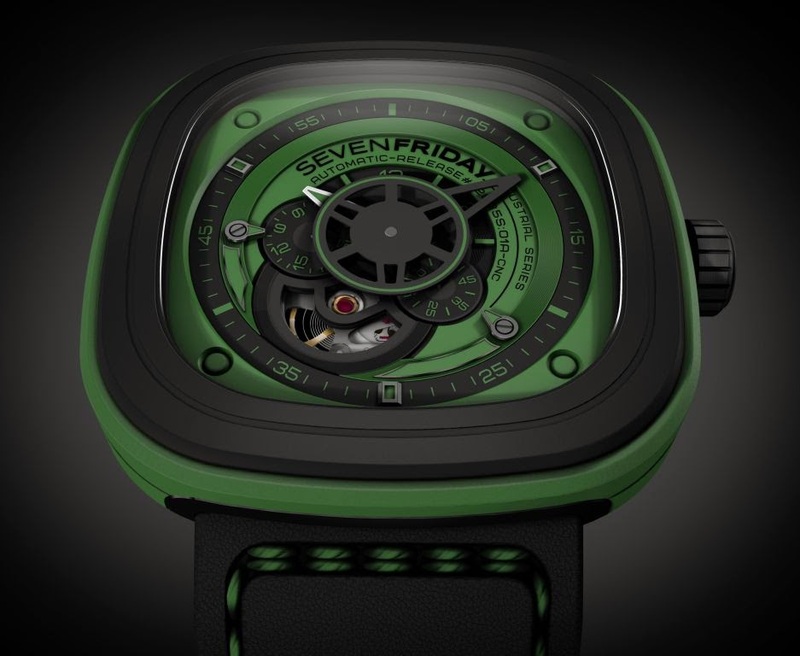 SEVENFRIDAY went further with 2 colours declinations (blue and green) and offers now 3 colored models. 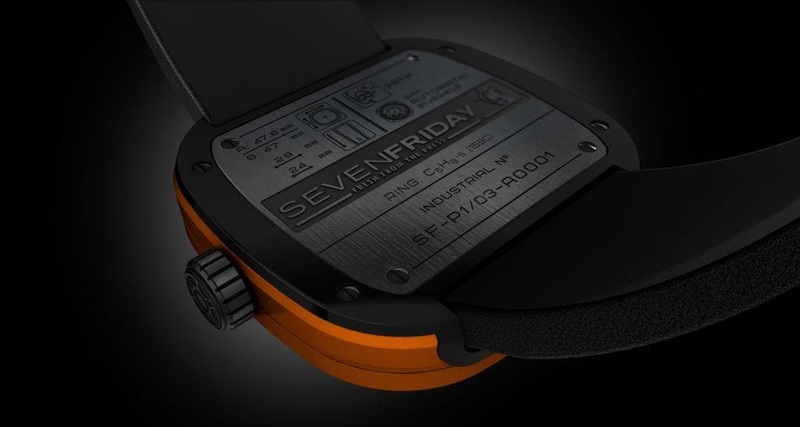 SEVENFRIDAY’s watches consist of two integral elements – the Box and the Interface. The box – made of stainless steel- is a complex constructed and protecting casing. The shape and style lies between modernity and classic and creates an exciting atmosphere. 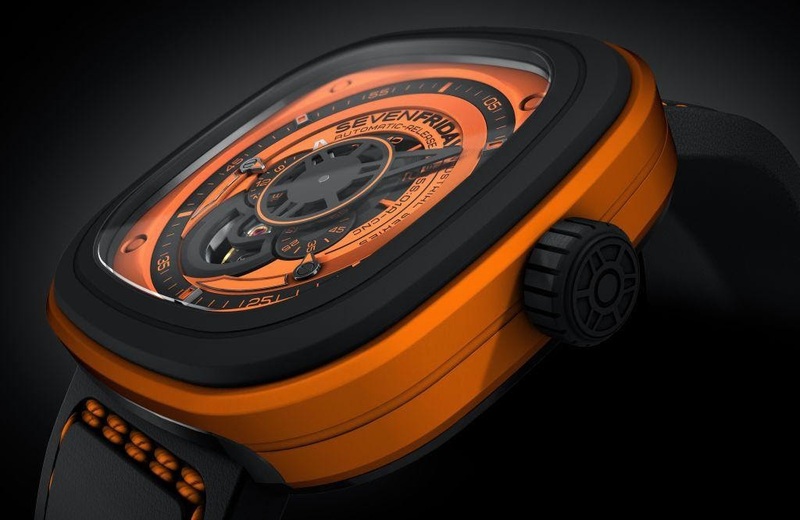 The case is surrounded by the animation ring made of different material catering additionally to the visual senses of the products respective universe. In the box you find the interface which consists of hands, discs, dial and a highly reliable Myiota 82S7 automatic movement. The indicators are designed and arranged in way to bring the complexity of the movement to the surface. The dial alone is made of 5 separate pieces / layers with eleven different applications. The complex construction attracts and fascinates the spectator and makes checking the time a new.